Location: Dubrovnik, Croatia Date: June 4-9, 2017 Registration will close on May 27 ! After Split (2014), Thessaloniki (2015) and Chania (2016), SPLITRS 2017 is taking us to Dubrovnik, Croatia. Once again, an intensive learning remote sensing program will be offered at a great location, “a land of great natural beauty and astounding cultural heritage”. Dubrovnik joined the UNESCO list of World Heritage Sites. We had a great event. We had students from France, Estonia, Portugal, Croatia, Singapore, Germany, Spain, Serbia, Netherlands, Austria, Finland, Italy, Czech Republic, and Vietnam. Thank you to all the organizers, lecturers, participants and sponsors. We should not forget to acknowledge the financial support of the Scientific Council for Remote Sensing, Croatian Academy of Science and Arts (http://info.hazu.hr/en/about_academy/sciences_councils/sci_c_telemetry/), as well as PCI Geomatics Canada (http://www.pcigeomatics.com/). REGISTRATION WILL CLOSE ON MAY 27 2017. Thematic Issue of the South-East European Forestry (SEEFOR) Journal. The proposed deadline for the submission:30 June 2017 (http://www.seefor.eu/thematic-issue-rs.html). MLJET Island and National Park ! This intensive and advanced, 5-day learning event, presents best insights into most recent techniques learned from top international professors and researchers through hands-on sessions and lectures. Participants will learn about different remote sensing applications using UAS (drone), hyperspectral and LiDAR sensors, SAR, various RS software. Learning about information extraction techniques will be an integral part of the school program in 2017. The program will not demand prior comprehensive knowledge of remote sensing, but prior understanding is recommended. Participants are expected to follow the program throughout the five days and they will receive a certificate of attendance specifying each of the lectures followed. The certificates will include the recommendation that the SPLIT Remote Sensing program may be used as enhancements to existing degree programs or as a stand-alone course. DART models radiative transfer in the system “Earth – Atmosphere”, from visible to thermal infrared. – IJRS invites submissions of papers on UAS/UAV/drones for a special issue: UAS for Environmental Applications. Deadline for the submission of contributions: September 30, 2017. – UAS4Enviro2017 28-30 June 2017. – SPLITRS 2016 supported the International Journal of Remote Sensing and the special issue addressing “UAVs for Environmental Research – it has been a great success with a quick turnaround. THEMATIC ISSUE OF SEEFOR ! SUBMISSION BY JUNE 30 2017 ! City Walls & Forts – No visit to Dubrovnik would be complete without a walk around the spectacular city walls, the finest in the world and the city’s main claim to fame. The first set of walls to enclose the city was built in the 9th century. In the middle of the 14th century the 1.5m-thick defences were fortified with 15 square forts. The threat of attacks from the Turks in the 15th century prompted the city to strengthen the existing forts and add new ones, so that the entire old town was contained within a stone barrier 2km long and up to 25m high. Sponza Palace – This superb 16th-century palace is a mixture of Gothic and Renaissance styles beginning with an exquisite Renaissance portico resting on six columns. The 1st floor has late-Gothic windows and the 2nd-floor windows are in a Renaissance style, with an alcove containing a statue of St Blaise. Sponza Palace was originally a customs house, then a mint, a state treasury and a bank. Franciscan Monastery & Museum – Within this monastery’s solid stone walls is a gorgeous mid-14th-century cloister , a historic pharmacy and a small museum with a collection of relics and liturgical objects, including chalices, paintings, gold jewellery and pharmacy items such as laboratory gear and medical books. (including lecture notes, ice-breaker, coffee-breaks and Dubrovnik at night, a special event with dinner and tourist guide). The 1/2 day trip to LOKRUM ISLAND. 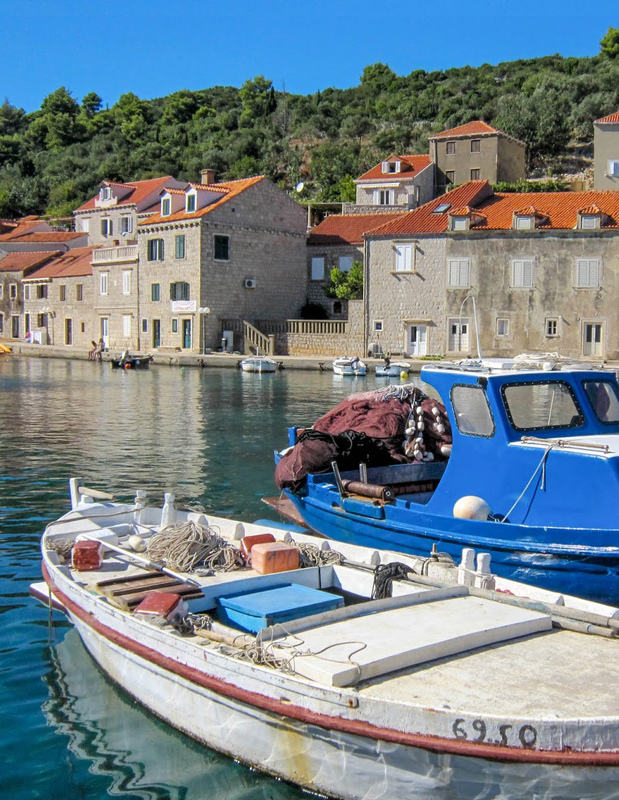 Dubrovnik offers a wealth of attractions and it is a popular tourist destination. Book your accommodation as soon as possible. 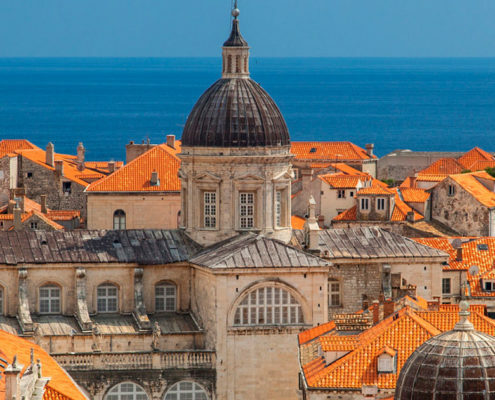 There are many hotels and hostels in Dubrovnik.